been hired by Martin County High School. two seasons, but lost in tiebreakers both years. 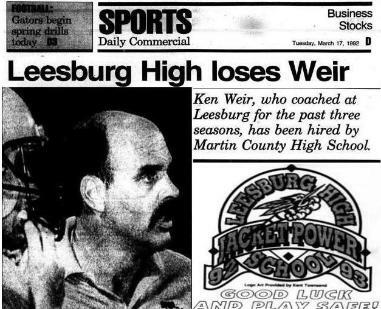 return for Leesburg. But the school will have a new coach, its fourth in six season. will teach physical education and weight training.